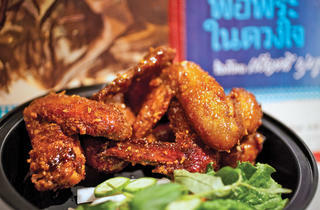 Chow down on the best new additions to classic cheap eats categories like pizza, wings, fried chicken and more. 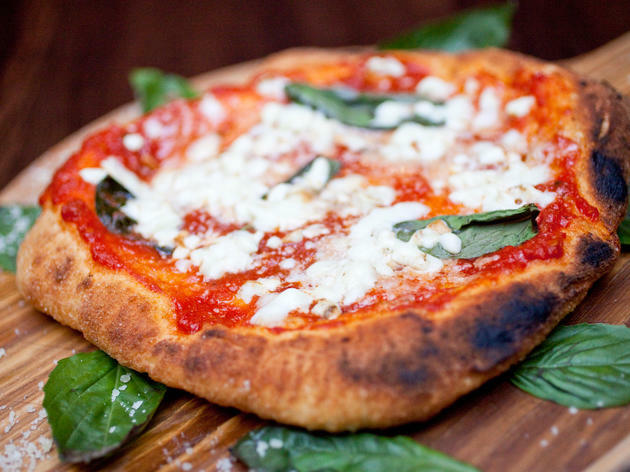 Some foods—the burger, fried chicken or, that NYC staple, the pizza, among them—have attained classic cheap-eats status both for their portability and affordability. 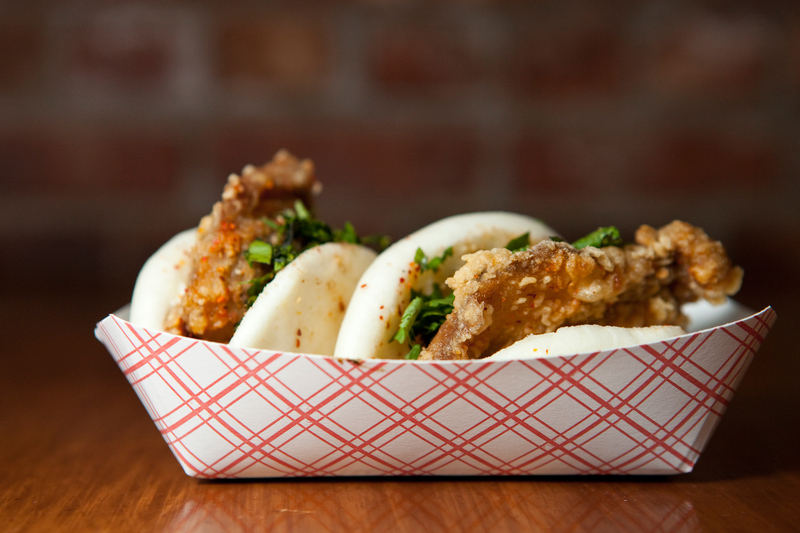 We’ve rounded up the best new additions to these classic cheap-eats categories, all of which clock in at $15 or less. 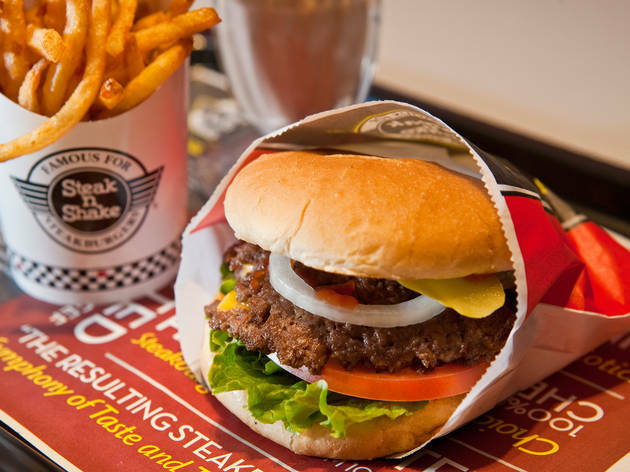 The only new under-$5 patty to make a serious run at Shake Shack’s crown is at this storied Midwestern chain, which arrived in Gotham in January after more than 75 years in the burger-slinging game. Purists will appreciate the simple, all-American package: two patties smashed thin and crisped on the griddle, then draped with just-melted American cheese and sandwiched inside a soft, buttery bun. 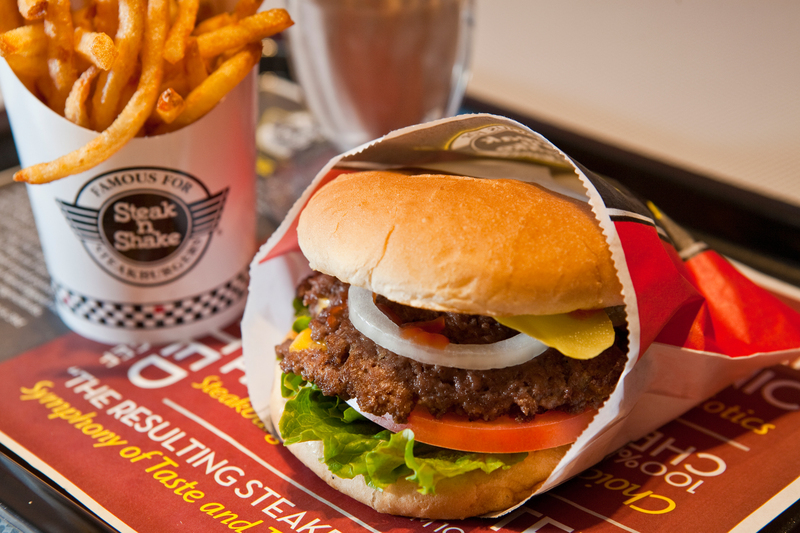 And the price, which matches Steak ’n Shake locations nationwide, is unbeatable: $3.99 for the sandwich and a side of salty, crispy fries. • $3.99. 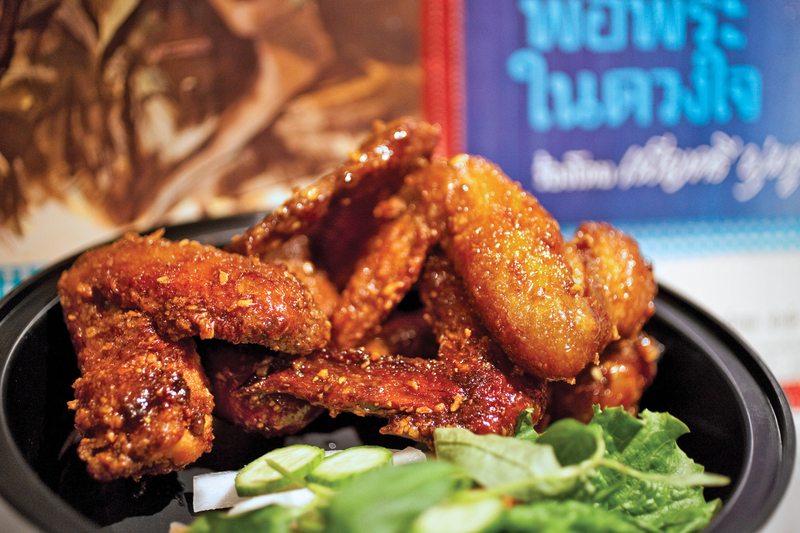 While nabbing a table at Andy Ricker’s perpetually mobbed Thai restaurant, Pok Pok Ny, can be an endurance test, the chef’s signature fried fish-sauce wings are readily available at his casual LES takeout joint. 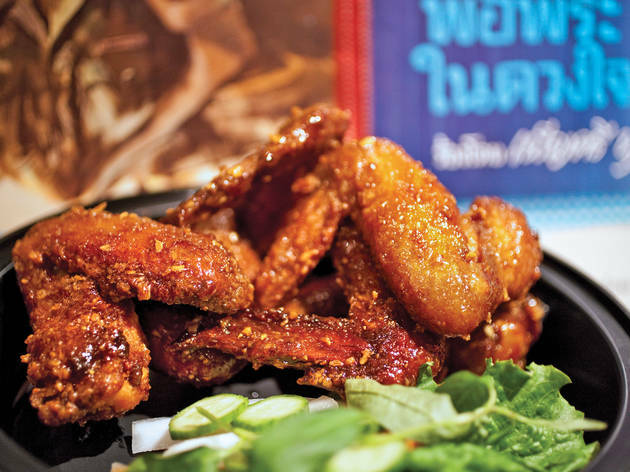 Inspired by a street snack he ate in Saigon, the extra-meaty specimens nail the basics—crispy skin, juicy poultry—while balancing layers of flavor: garlicky brine, funky Phu Quoc fish sauce and the slow-building burn of a roasted dry-chili paste. • Six for $12.49, half order $7.25. The montanara—a puffy, flash-fried pie variety with roots in Naples—is the latest obsession of NYC’s pizza cognoscenti. We’re hooked on the version at this pedigreed newcomer, helmed by Kesté’s Roberto Caporuscio and his decorated Italian mentor, Antonio Starita. 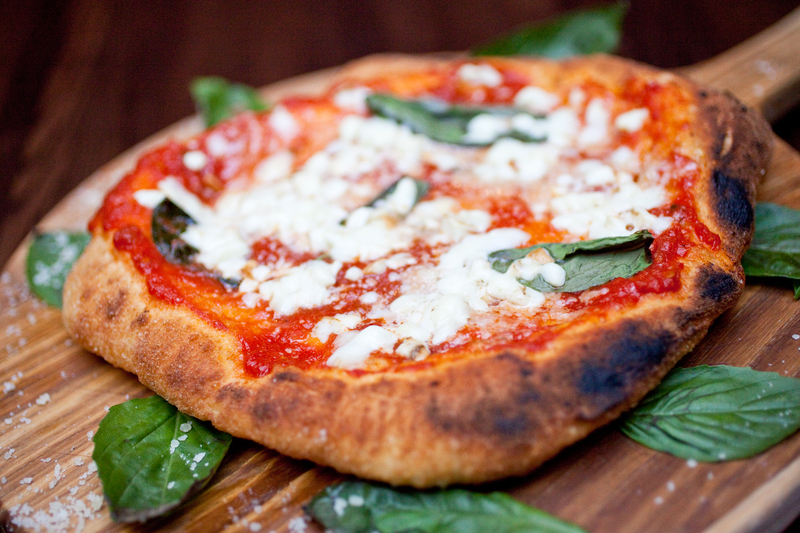 The chewy, golden-crusted disc—proportioned ideally for one—needs only tomato sauce, basil and a scattering of smoky buffalo mozzarella to sing. • (donantoniopizza.com). $12. French fries transcend their status as a side dish in this gut-busting Montreal classic, which easily makes a meal on its own at the counter-service spin-off of Boerum Hill’s Mile End. 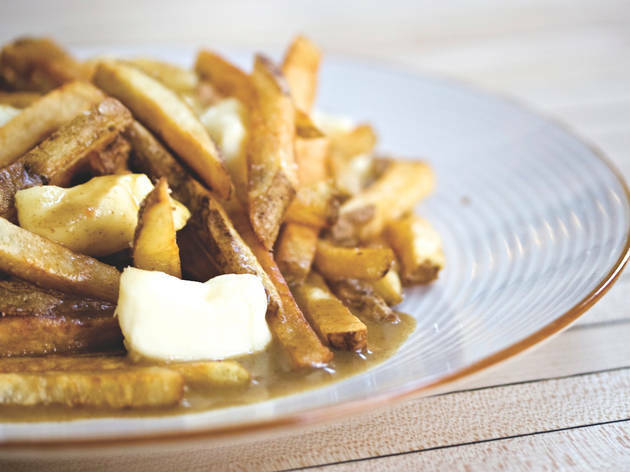 Starchy skin-on fries are smothered under an onslaught of savory white-mushroom gravy and extra-plump cheese curds. 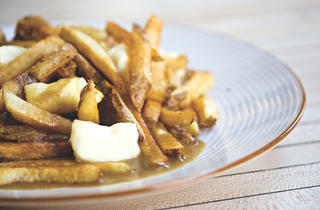 As you eat, the curds melt into gooey blobs and the sauce-drenched fries can be eaten only by the forkful. If you’re feeling spendy, get the whole thing topped with a small mountain of the shop’s signature smoked brisket. • (mileendbrooklyn.com/sandwich). 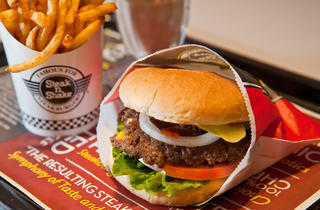 $10, with meat $14. Food-world provocateur, streetwear designer, social-media evangelist: It’s easy to lose track of all the hats Eddie Huang wears these days, but it’s worth remembering that the man still makes a mean steamed bun. As haute fried chicken trends around town, you can still get your fix for pocket change here with this three-bite snack. 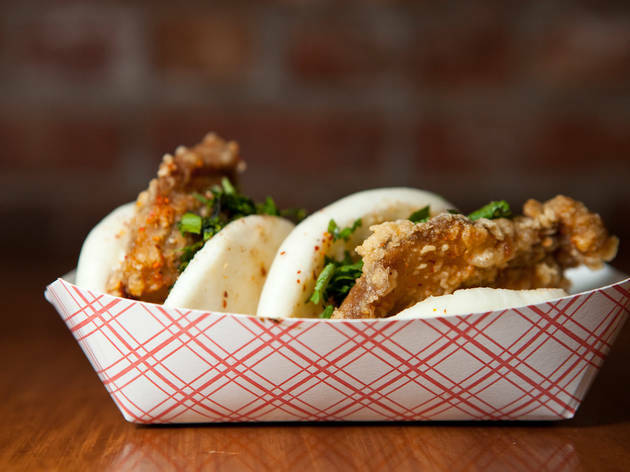 The generous strips of poultry are double-fried, so they’re almost greaseless and provide a crunchy contrast to the pillowy bao. 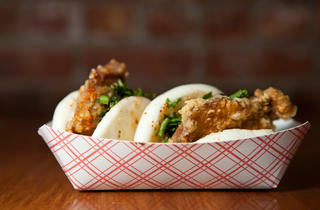 The addictive combo is balanced with a flurry of cilantro, crushed peanuts and Taiwanese red sugar. • $2.99 per bun. 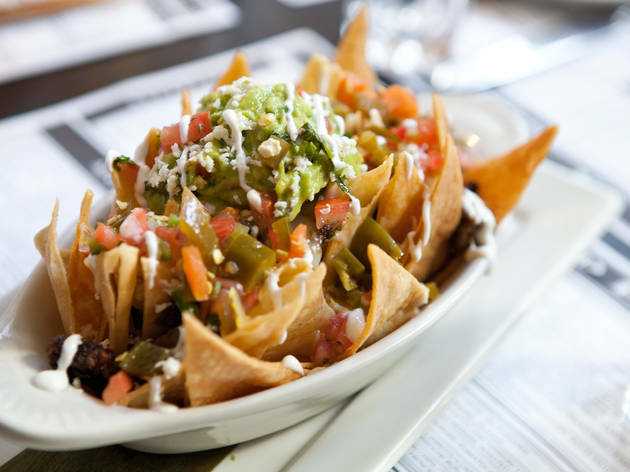 Few serious chefs turn their attention to the humble nacho, which is why we were thrilled to see Julian Medina give the beloved snack a permanent spot on the menu at his 24-hour Latin diner. 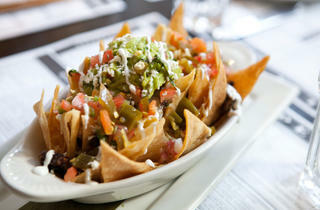 Here, the toque bucks the bigger-is-better approach favored by so many bars and Tex-Mex joints, instead offering a more composed take on the dish. Sturdy house-fried tortilla chips hold up under the upgraded toppings: tender pieces of braised short ribs, melty Chihuahua cheese and chunky guacamole, all finished off with a flourish of bright pico de gallo and crema. • (coppelianyc.com). $8.95. Since opening in September 2011, this taqueria from the owners of Dram Shop has developed something of a cult following in Crown Heights. 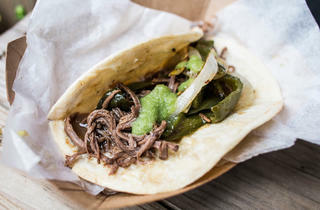 Good sourcing and careful preparation are the keys to its success, as evidenced in the Dallas-style brisket taco: Grass-fed beef from Los Paisanos is cooked low and slow for more than six hours with beer, cumin, jalapeños and other seasonings. 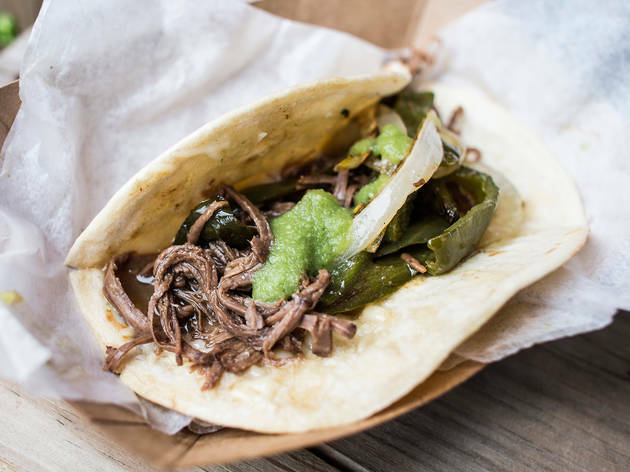 When you order, the meat is heated in a skillet of its own juices, then tucked into a griddled house-made flour tortilla and garnished with shredded Cabot cheddar, tomatillo salsa, onions and soft roasted poblano peppers. • $4. Perhaps due to competition from the city’s armies of dirty-water carts, the nouveau-food-truck trend hasn’t emphasized hot dogs. 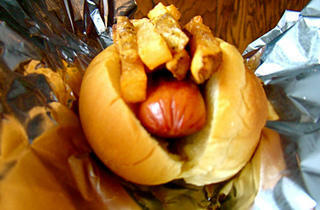 But Bronx native Sean Sullivan isn’t shy—his wagon sports a green zombie hand gobbling up a frank—and neither are his bold hot-dog riffs, including a double-dog variant topped with steak chili and cheese fries. Our favorite is the bacon-wrapped rendition, inspired by the popular late-night snack Sullivan encountered in Mazatlán, Mexico. 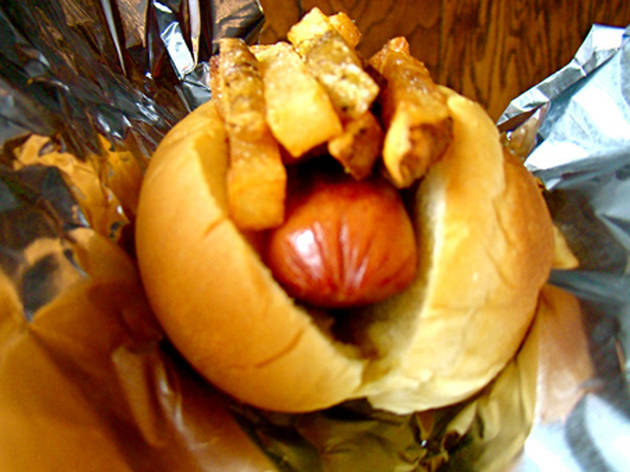 The fatty cured pork from D’Artagnan, crisped in the fryer, gives way to a skinless all-beef dog, and the whole Franken-weenie is tucked inside a potato bun with roasted garlic mayo and sliced cukes. • Location varies; follow @feedyourhole on Twitter for updates. $4.